Petra's Artroom - Art accordingly to your own imagination, e.g. painted milk cans, Portrait painting especially portrait of a dog, painted ostrich eggs and much more. I hope, you will enjoy the little selection of my work. Please take a look into my gallery. and a fleeting look may ignore. but also the future owner. if the right time and the right feeling come together. What would be your desire: a painted milk can, an induvidual portrait (also a portrait of a dog) or a painted ostrich egg? With love for details I paint accordingly to your own imagination or your photo presentation. 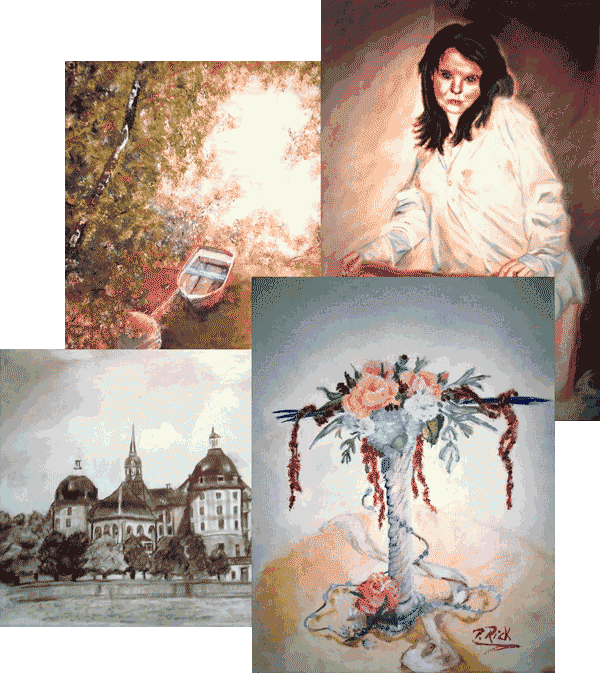 To paint a portrait (also animal portraits especially a portrait of a dog), a still life or landscapes picture in oil, pastel or aquarelle are my favorites. But also a painted milk can or painted eggs e.g painted ostrich eggs I like to paint accordingly to your wishes. Please have a look at my online offers. In my gallery or in my work you can find a lot of inspirations, how your induvidual picture or painted milk can or painted ostrich egg could look like.